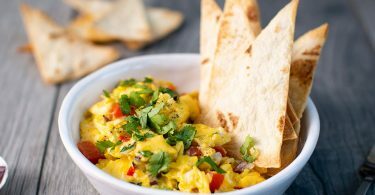 This light and delicious meal is perfect for lunch or dinner. 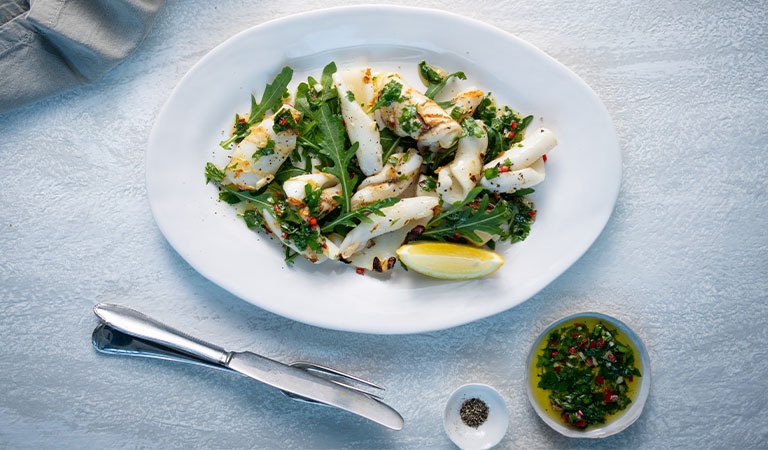 The parsley, chilli, rocket and squid bring a vibrant touch to the dinner table whilst the lemon juice adds a refreshing zest to the finished recipe. You can even serve as a starter if you’re having guests over. Place the prepared squid pieces into a bowl and drizzle with the 4 tablespoons olive oil to cover, then season with salt and pepper. Put the parsley, garlic and chilli into a bowl, season with salt and pepper and add the olive oil to make a loose sauce. Set aside while you preheat your frying pan or grill pan for cooking the squid. Place a grill pan or large frying pan on a high heat and allow to get really hot, this may take 10 minutes. Transfer the squid from the bowl to the hot pan, in a single layer, and cook for 3-4 minutes on each side or until slightly browned around the edges. The edges will curl up a little while cooking. 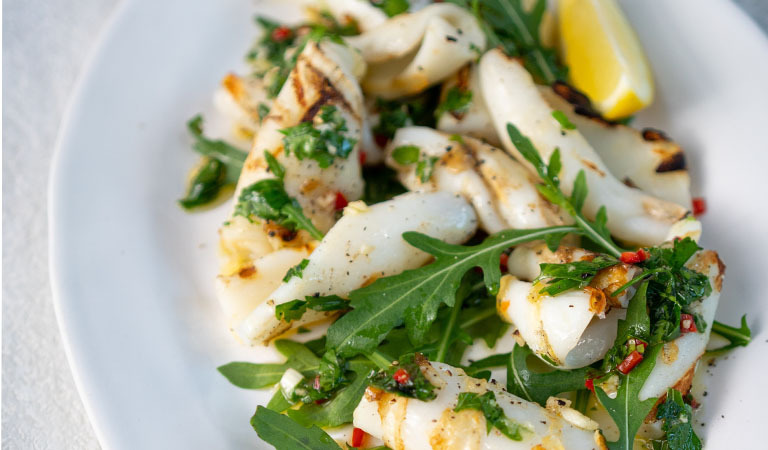 Once the squid is cooked, transfer it to warm plates, drizzle with the chilli and parsley oil, scatter each plate with a few rocket leaves. Add a squeeze of lemon juice (and wedges) if you wish. Serve straight away. *Assuming the recipe yields 4 servings.